All good things must come to an end, and that includes emotional fireworks shows. After 14 years, Disney World has bid adieu to their nighttime spectacular, Wishes. Don’t worry! 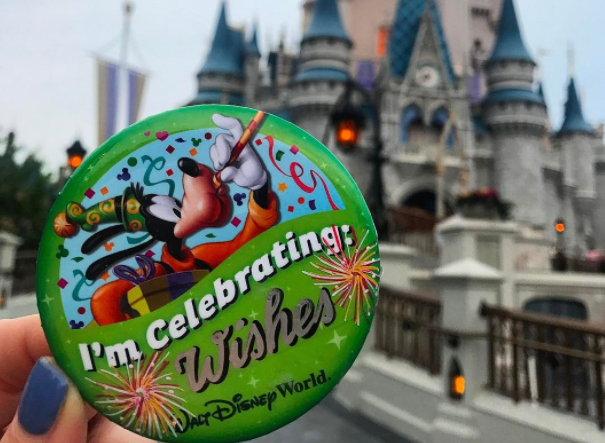 In literally hours, a brand new show is going to debut at Magic Kingdom theme park – Happily Ever After, and yes, we’re already crying. But first, we had to cry a whole LOT saying goodbye to the long-running fireworks show. If you’ve seen Wishes, and you love Wishes, you know how sad it is to say goodbye to something so magical. Guests in Magic Kingdom took to social media to share their heartfelt goodbyes to the fireworks show (and maybe reacting as if a part of their family has died, but listen, it’s okay, fireworks make everyone emotional), as well as a last few (thousand) pictures of the fireworks. Because if you see some fireworks at Disney World and you don’t boomerang it, did you even see the fireworks? So go ahead, cue up the Wishes theme, and let’s take a look back at this fantasy in the sky. But don’t worry, Disney World isn’t about to go without fireworks for more than 24 hours. Happily Ever After debuts *tonight* — May 12th! — and expect it to run for the next decade, too.